The superhero movie category is one of the most lucrative film genres around the globe. In modern times, Marvel studios have made an absolute killing with their Avengers franchise at the box office while DC Entertainment, amongst various others, have desperately tried to jump onto the superhero bandwagon with a varying degree of success. Our next door neighbour was also quick to follow suit with Toofan and Mr India, starring the great Amitabh Bachchan and the evergreen Anil Kapoor respectively. India was dabbling its cinematic feet in this particular genre as early as the 1980s. Now, notwithstanding the animated 3 Bahadur, we finally have a live action superhero film that we can truly call ours. The teaser trailer of Project Ghazi has just dropped and the whole of Pakistani social media is in a state of frenzy. Because by the looks of it, Project Ghazi is not just a feeble attempt at making up the numbers, it seems like a film that can potentially be placed proudly besides the genre greats. Okay, I really need to hold on to my horses here and have a look at it putting aside my green tinted glasses. It is a story of an advanced soldier project; so a Pakistani variant of the star-spangled Avenger, Steve Rogers, if you like. Captain Pakistan, anyone? 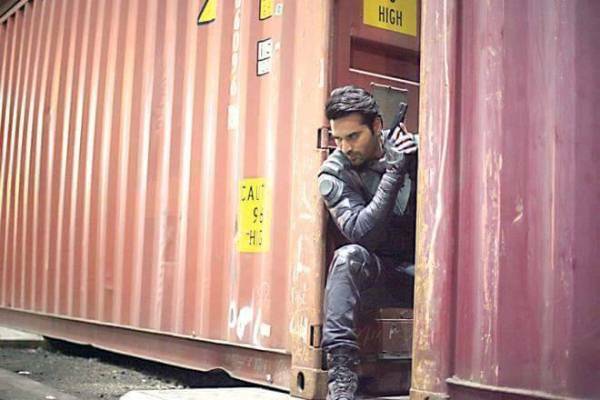 Salaar (Humayun Saeed) is a veteran soldier who due to various reasons is the only one left to take the super soldier assignment, Project Ghazi, forward. He does precisely that by playing mentor to a young soldier, Zain (Shehryar Munawar), and they both end up being enhanced to the peak of human perfection. The rest is them squaring off against our baddie-in-chief, super villain, Qataan (Adnan Jaffar). First off, it’s just a teaser, so common sense dictates we shouldn’t really look too much into it. A good many of the lame movies have had a great promo and vice versa, so yeah! The 30-second trailer kicks off with a masked Jaffar who seems to be a huge fan of the Batman villains. He looks a little too much like Bane and speaks like a true disciple of The Joker. Throughout the teaser, he nihilistically rambles on about unmasking the true face of humanity and etcetera. There is also a lot of typical genre posturing and superhero pensive brooding going on during the trailer and both Saeed and Munawar are guilty of it. But with all the minor quibbles out of the way, let’s concentrate on the good things. It seems like a flick geared towards serious adults and does not look like a cheesy and campy superhero affair; an accusation that we can easily level at Bollywood with their treatment of this particular category. 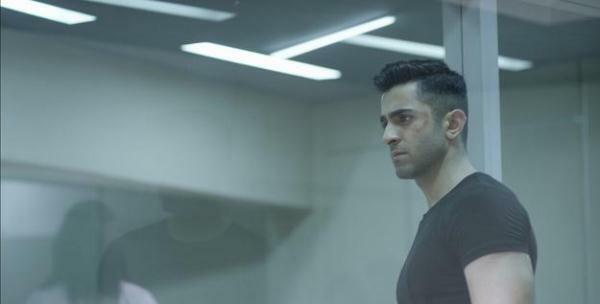 Also, both male leads look the part with special kudos to Saeed, who despite his age fits the bill as an action hero. 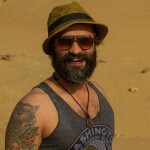 So is it ‘Bye bye Shaan, hello Humayun’ time now? Furthermore, this also begs the question – what the hell was Saeed doing all these years wasting time, marrying and divorcing women in those repulsively archaic Pakistani drama serials? Stuff that he produces himself. 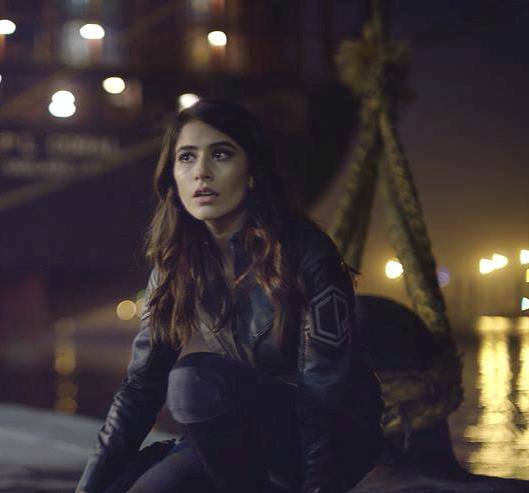 The female cast – Syra Shehroz included – surprisingly doesn’t look awkward holding guns and actually seems Lara Crofty doing it; so that’s another string to the trailers bow. 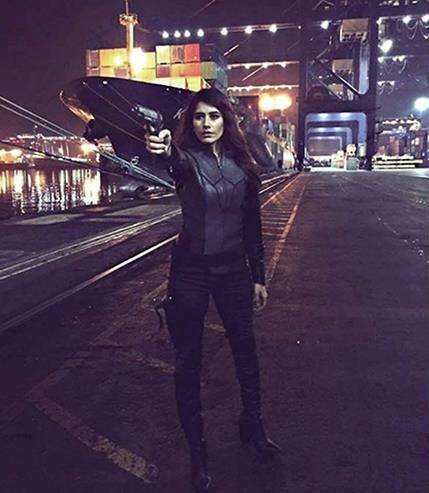 The female cast – Syra Shehroz included – surprisingly doesn’t look awkward holding guns. 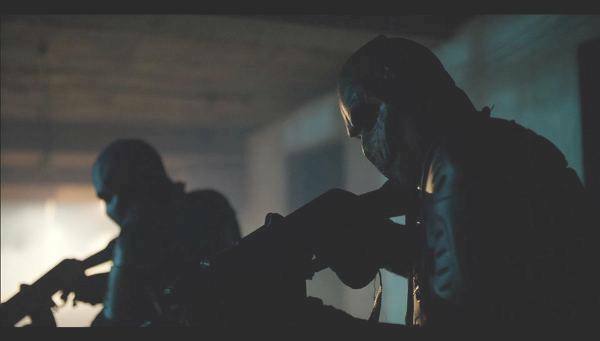 Photo: Project Ghazi Facebook pageLastly, based only on the trailer, the movie looks visually stunning. Long story short, it’s great to see the local industry testing uncharted waters. And I for one am super psyched to watch our first superhero movie. I think the movie has potential but better not relate to Hollywood to much.